Not sure if inappropriate to post, but will gladly delete if so. 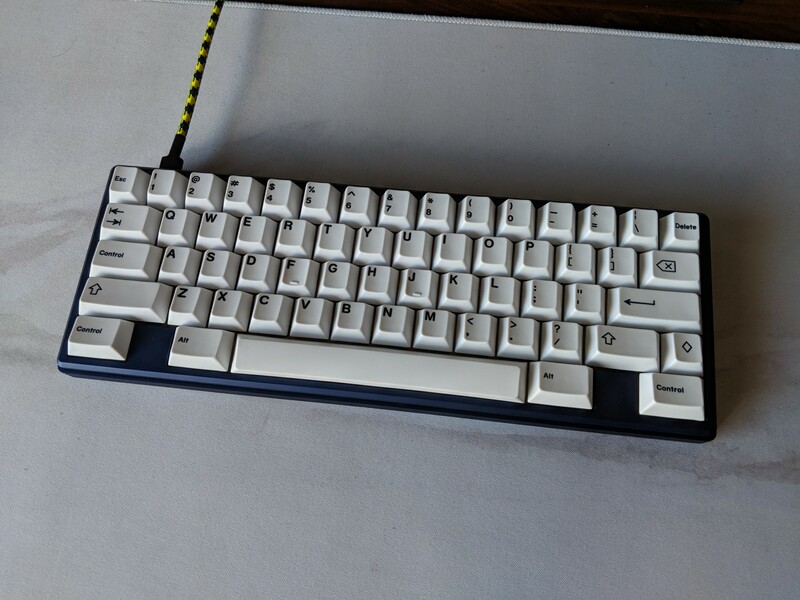 Interested in picking up a 60% w/ alu wkl/hhkb plate. Open to any color, if anyone is looking to unload. Wish I would’ve known to get in at the time. Boards are on the way to me. Shipping estimate says they will arrive next week. Cool beans. Can't wait to build another board! oohhh poggers. Thanks for the update!!!! I'd rather feel 'em, personally. There is good news and bad news. (I feel like this is a movie script). I have received all of the boards and will receive the packaging materials/bumpons/screws this week. As Fedex was carrying the packages to me, the package holding the weights fell apart and they hit the concrete . My rough estimates at this point are 50% of the weights have minimal damage, 45% are perfectly fine, 5% look like trash. I do not plan to delay shipping boards to everyone to get replacement weights. I will ship your board and then you can decide whether or not you would like your weight to be replaced if you are part of the 45%. I will order replacements for the 5% ASAP. I'll be willing to wait for a replacement weight if mine is affected. What's the cost of the weight we are looking at? Confirming, this is what you mean? Could you post photos of the affected 50% (35 photos on an imgur album). Quite concerned as I ordered 2, and we're almost 6 months in. I don’t think there is a cost. It’s a replacement not an extra. Why are you concerned? Other than the 5% he’s gonna send them out (maybe these 2 can’t tell) and if you wants replacement he’s gonna order one. Then you just swap the new weight in later. While I get the frustration, to me having to use a mildly damaged alternate weight for a few months isn’t really a big deal. Thanks for the updates. Sorry for the unfortunate news. If it helps, I'm willing to be in the 5% group as I wont be able to work on it right away. Oof, sorry to hear that happened. Appreciate for your efforts in correcting this. Looking forward to receiving the boards first, but I may keep my weight also if I'm in the 50% minimal damage. I ordered a brass plate and am looking to swap for aluminum if anyone is interested! I have a blue-grey case so something that goes with that would be nice, pretty much just not black or red. quick shots, just opened it up! I was lucky and got mine a little early - worth the wait though guys, well done Quantrik! Built my QXP earlier w/ Holy Chickies! 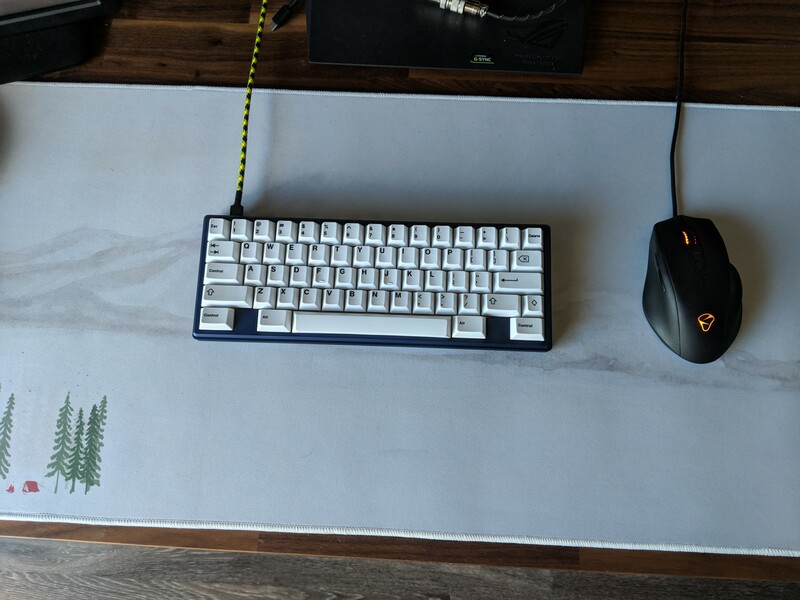 First tactile board in awhile so I'm still getting used to it but it's feeling pretty damn great! beautiful board! Just for clarification, holy chickies are halo stems with retooled blue housing and tops, right? At any rate, how are you liking them? Oof can’t wait to get mine! I'm really liking it so far. The bump feels pretty round so the adjustment isn't so jarring. Gonna use it for the weekend and get these things broken in! Yep, really pleased with how it turned out. Great video/board. Came out great Zekkin! Great video Zekk! Where did you get this awesome board! will we be getting shipping notifications? you'll be billed for shipping or you have to contact him, confirm your weight is good, then pay for shipping. Shipping will have signature confirmation as well. Will he contact us first to show us the weight for our purchases? Kits are showing up and I’ve yet to get any notification. i believe he is working on that, not easy handling and qc-ing 100 boards. Yeah prolly the best thing to do now is just give him time to sort, QC and pack all the boards. In the meantime, need to start lubing up some switches! I got a response from Quant over Discord, and also got confirmation on the status of the plates as well. Just waiting for the shipping invoice. I think it's ok to leave him a message on discord, just give him time to respond. Well, mine's showing "ask participant to check photo" - guessing it took a tumble. Q will probably contact us soon. Just finished building mine, as a heads up if you are using a pcb with a larger reset button on the bottom you might have to desolder it since there is so little room in the bottom of the case. Great board otherwise and I will update with some pictures after a bit of a glamour shoot tomorrow. If I haven't received a shipping invoice, should I assume my weight is damaged? I checked the order sheet but about a third of the orders don't have a specific status and I'm not sure how updated it is. You should message him on discord. What does “unchecked” mean in the status? It means that he hasnt checked/QCed the case or weight yet. I too am waiting for updates on mine. Would there be room for hotswap sockets or holtites? 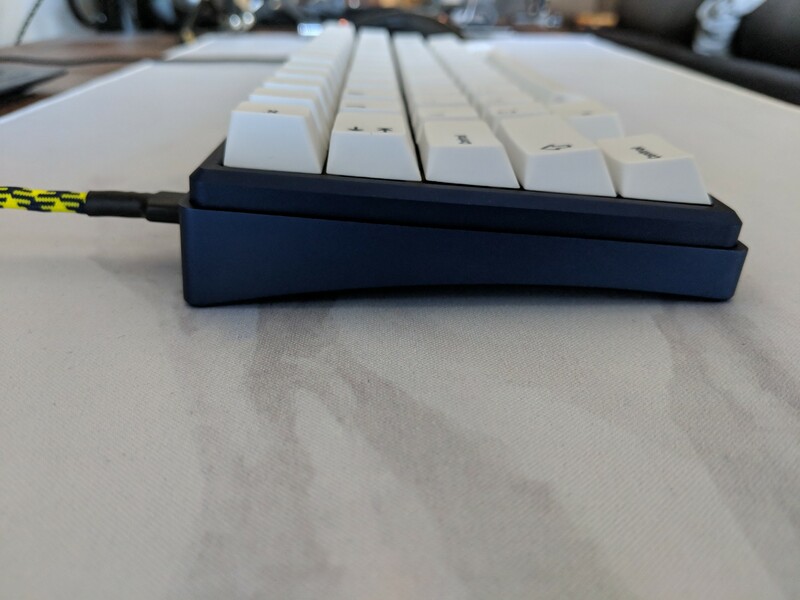 Looks like it wasn’t in here but someone posted theirs with a kbd 6x pcb so there shouldn’t be any problems. Here is album for the damaged weights. Please check the order check spreadsheet. If you see your row is RED then you need to check the album! I will also be emailing you. Wow, thanks for uploading the photos. Really appreciate it. Forgot that each weight had its own number, that's why each one had to be checked per order. Really appreciate the effort posting this, Quant. Page created in 0.118 seconds with 76 queries.